Coming back, IDC, one of the leading research firms in association with Dataquest, recently released list of “Top 20 Technology Colleges in India”. Here are some of the highlights of that survey. 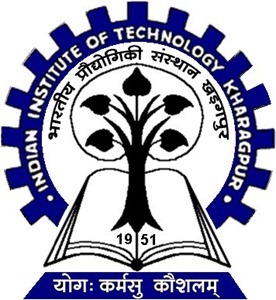 IIT Kharagpur was adjudged the best Technology School followed by IIT Delhi and IIT Madras. Infact, 6 out of top 10 Technology colleges featured IIT colleges, which is why IITians are so highly regarded, not only in India, but across the globe. BITS Pilani, which I regarded quite highly is placed at number 8. Somehow, I always thought that BITS was one of the top 3 technology schools in India ! We all know 2009 was not a good year for placements – Total placements fell to 73% from 84% the previous year. However there were 16 out of top 111 Technology colleges that managed to get 100% placements. One would imagine that these 16 colleges would be similar to the list given above. After all, better colleges get better placements. But that does not seem to be so. There were a few colleges who did not figure in the top 20 technology colleges list, but managed to attain 100% placements. Really commendable, I must say. Let us know if you want us to feature any top list and we would be happy to hunt it out for you ! My son’s are in 8th and 7th right now. Both are bright and aspiring for higher studies . So, I am searching schools that put kids in right track to enter into IIT Colleges . The residential schools should also consider health and extra cercular activities . really interested in IT and want to know more pls. i cmplete my diplom and advance diplom so i wount to come there finish my degree. I have now updated the post to reflect that IIT Mumbai has not participated in this survey ! hiiiiiiiiiii………….. i think it waz joke dat iit bombay and ism dhanbad is not present in this damed list ????? so plz update dat list as soon as possible ???????? not only but also many of us never belive in such kind of ranking……. This is a joke. IIT Bombay is absent and is arguably the number 1 tech school in India by far!! Such obvious omissions mean the list has no credibility. Somebody looking at this list is going to assume that IIT-Bombay is not one of the top 20 schools in India. Which is completely stupid, because the reason IIT-Bombay is not there is because it “did not participate”. So what else is missing from the list? There’s no really good way of knowing, right? what happened to IIT mumbai ? Was with a current Amity Noida BTech student yesterday – he mentioned that the 100% placement claim by Amity is misleading – this number apparently include people who have decided to skip the job hunt and move onto higher studies (mba, ms etc). For the genuine placements, the packages are nothing to rave home about. Thats a good list!! Surprising to see no tech college in Bangalore is in the list. Anyhow I’m not the one who is interested in technology as an higher education. I was expecting IIT to make the top of the list, the graduates there are geniuses. I also wanted to know on what basis are these schools ranked.